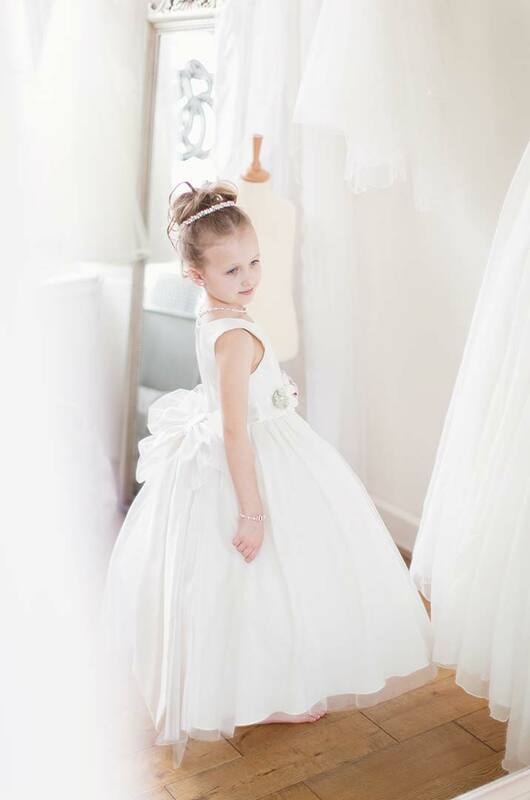 Every little girl dreams of being a flower girl. 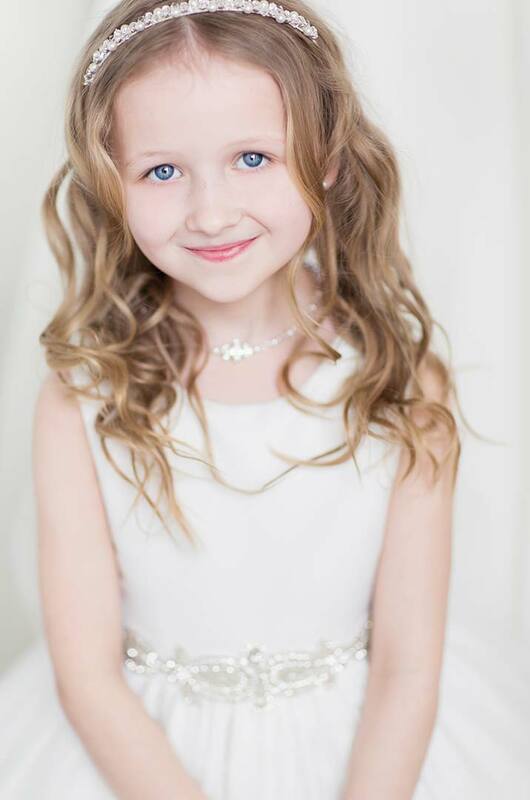 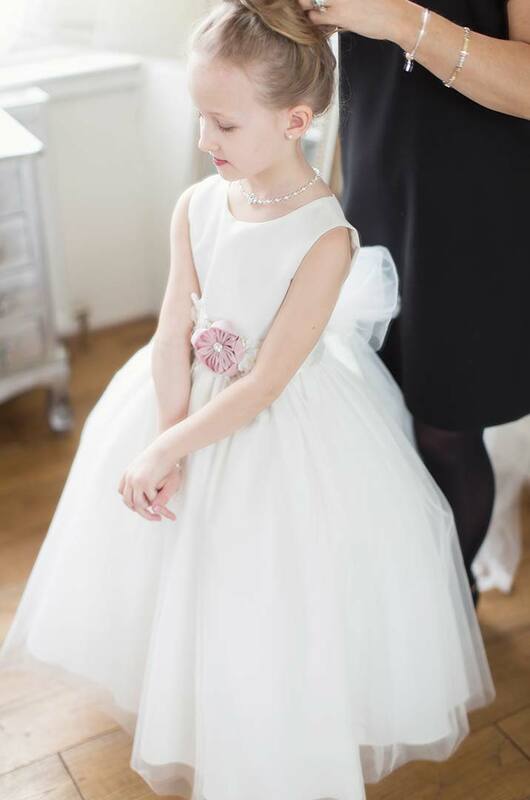 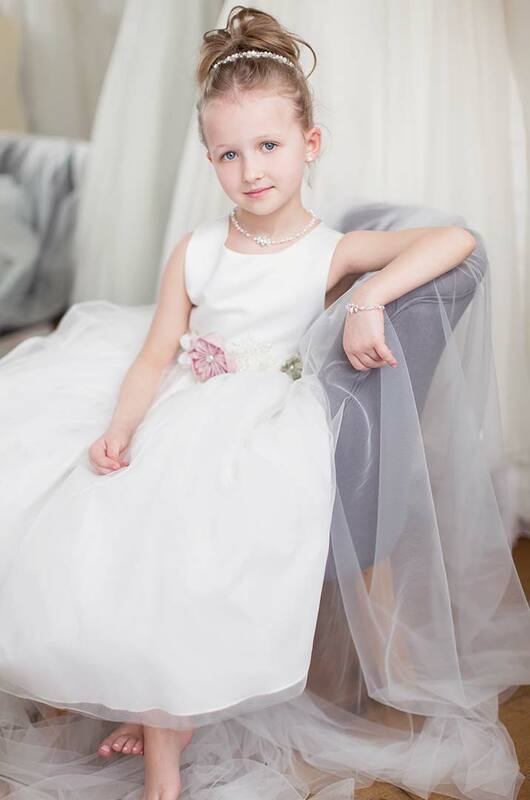 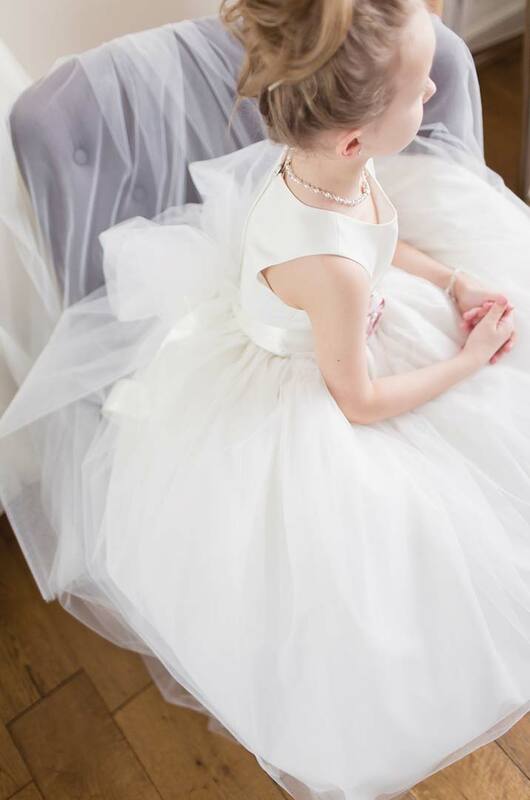 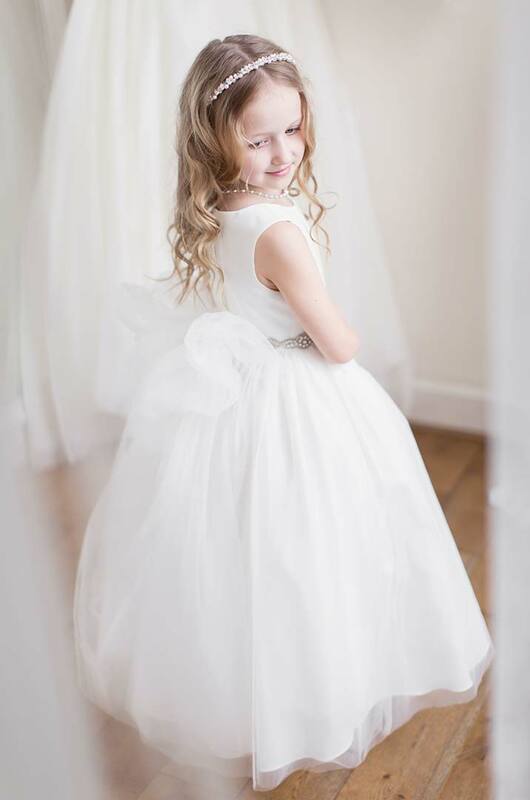 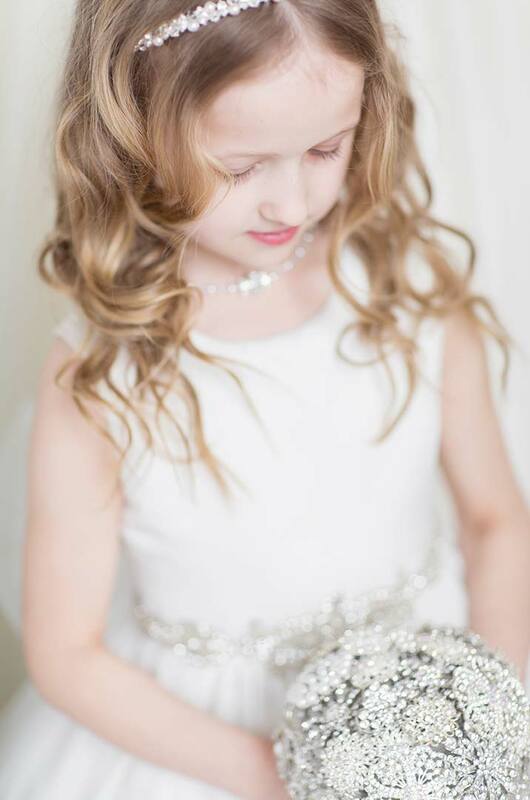 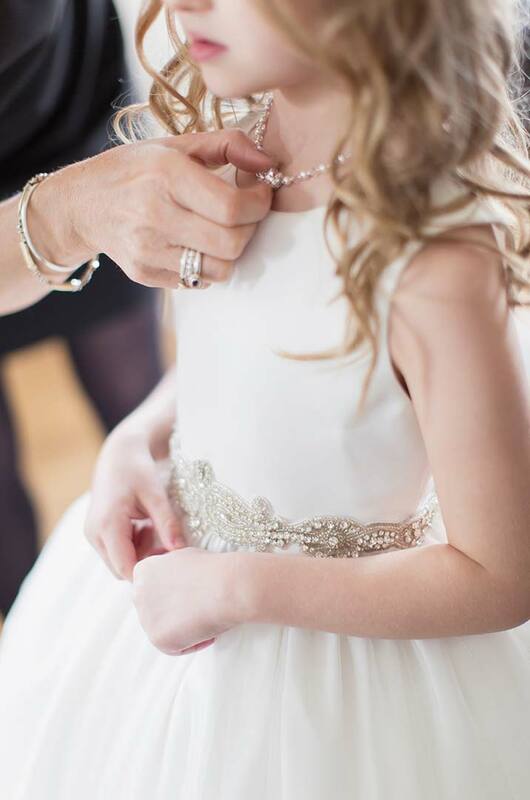 We understand just how special this role is and create truly stunning flower girl dresses which little ones and brides themselves simply adore. 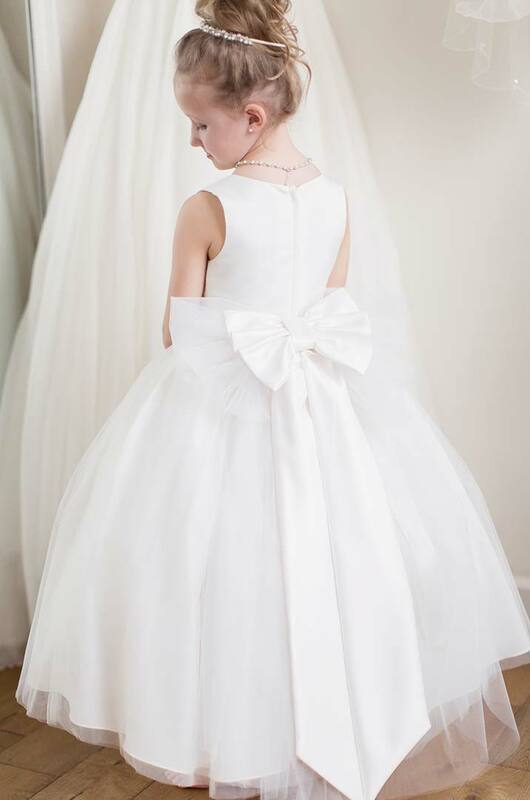 Making each dress to order, our designs have an elegant and vintage style, and are completely unique to anything available to buy. 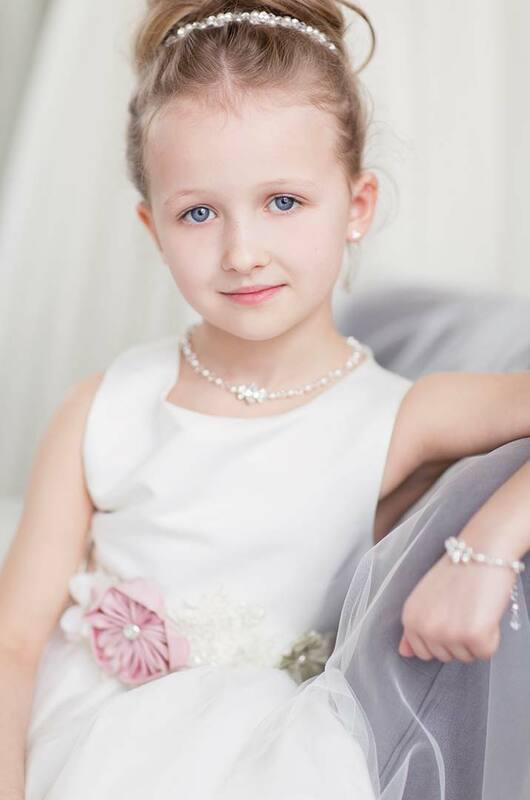 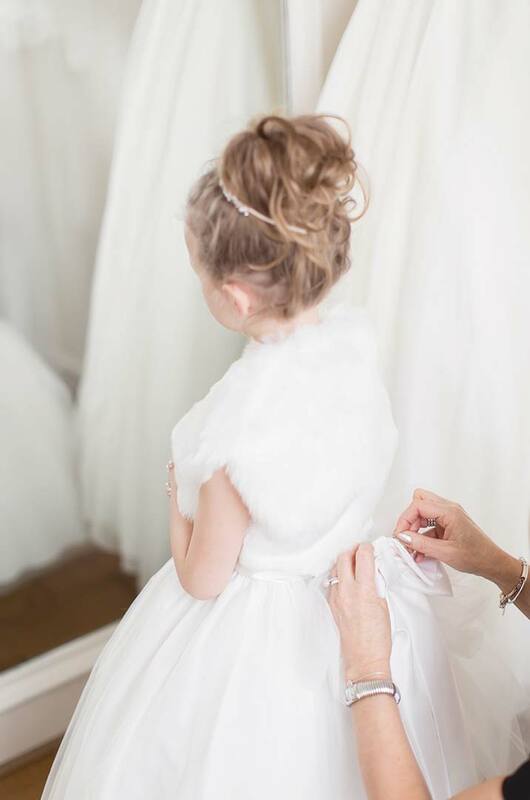 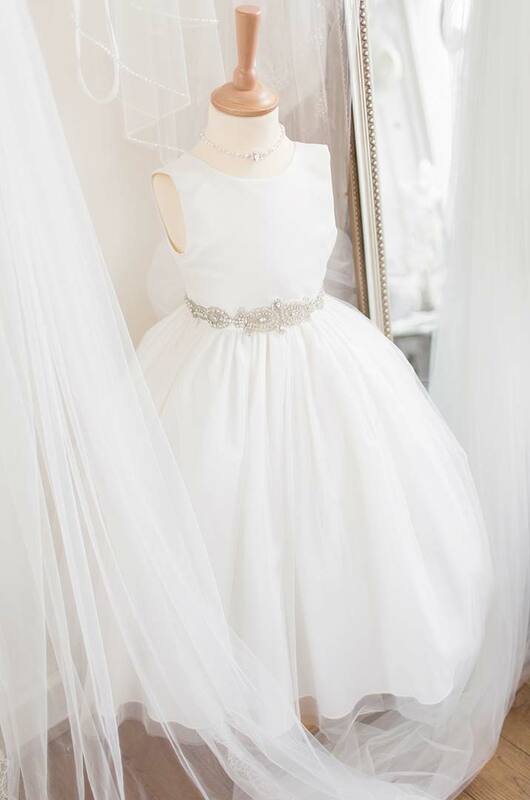 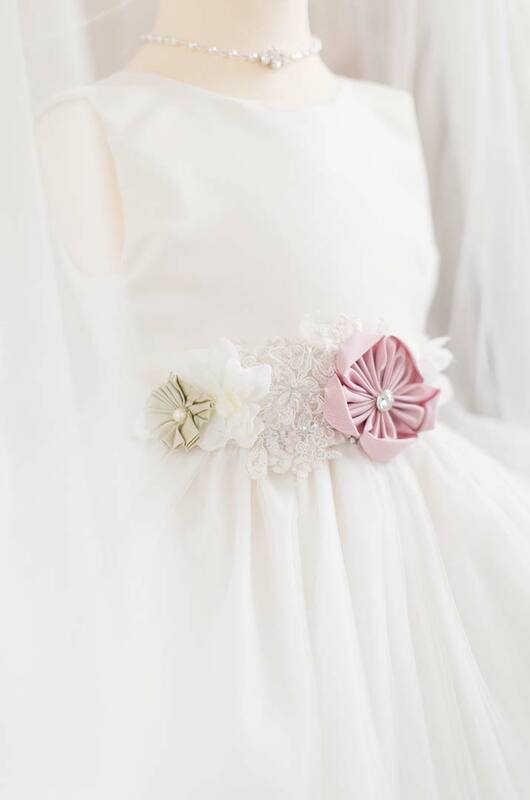 We can also add details to the flower girl dresses to compliment your own bridal gown, such as crystal, diamante or bridal appliqué waistbands. 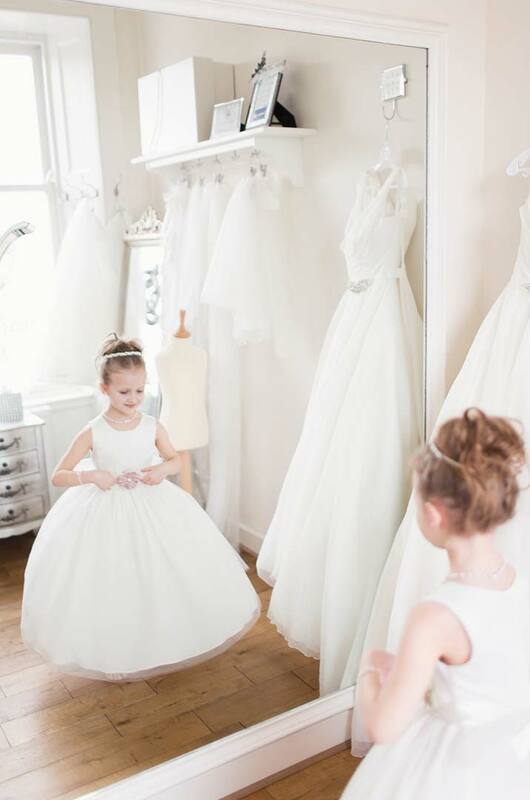 All our flower girl dresses are beautifully made, perfectly finished and precisely fitted at our specialist boutique in Kilmarnock. 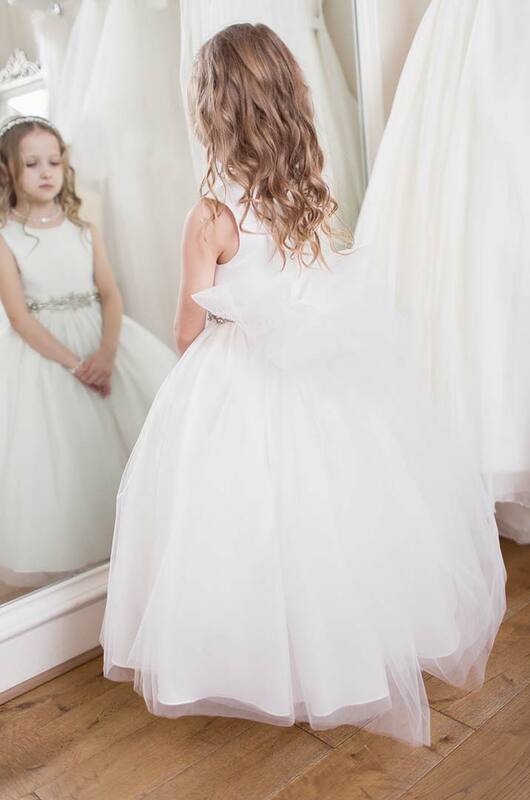 Using luxury fabrics, including matt satins and silks in soft tones, and with layers upon layers of the finest tulle, our dresses are so full and fluffy your flower girl will feel as special as you do.